Hydor Wavemaker circulation pumps provide beneficial water movement within any aquarium. Wavemakers mimic the natural waves of water, something the fish enjoy and thrive in. The motion also gives the fish a chance to be active has they swim against the current. This helps to increase their exercise levels. 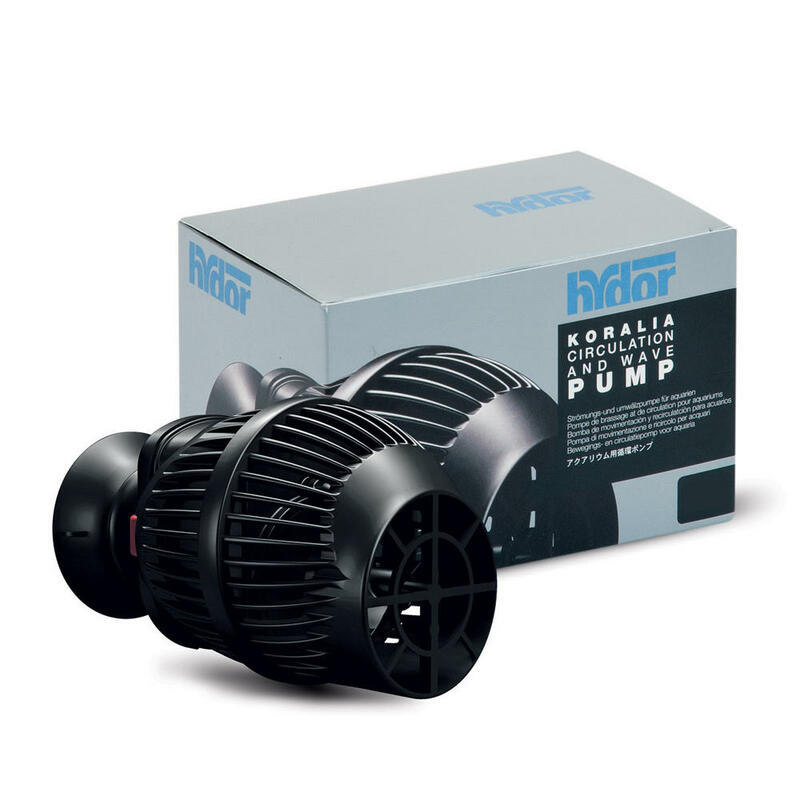 The Koralia Nano and Evo Wavemakers are compact energy saving pumps designed to recreate the natural and beneficial water motion of waves. 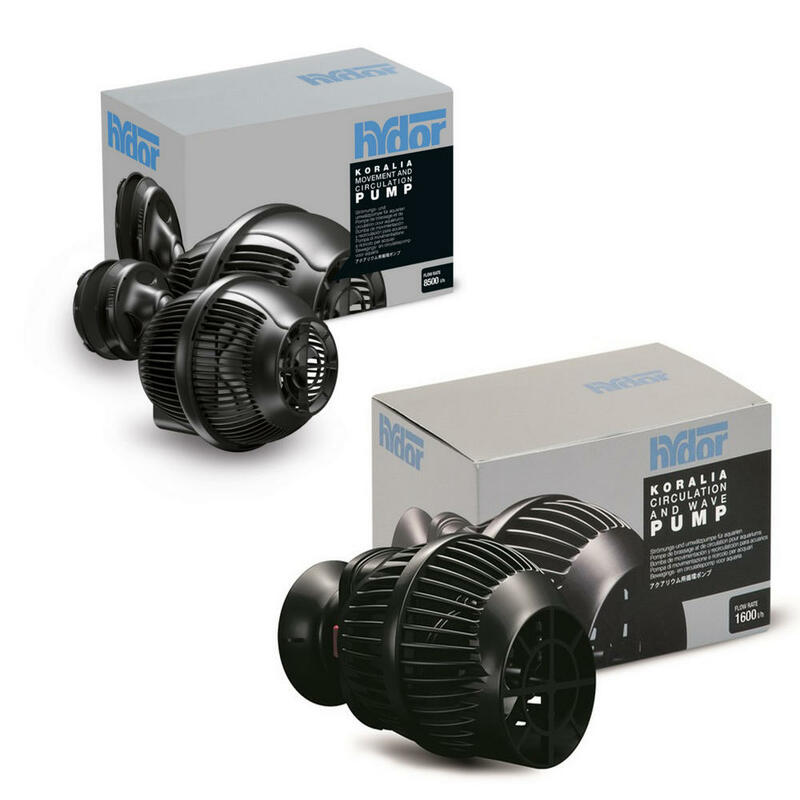 When placed within an aquarium, the wavemakers produce a gentle movement of the water and improve the overall circulation within the tank. 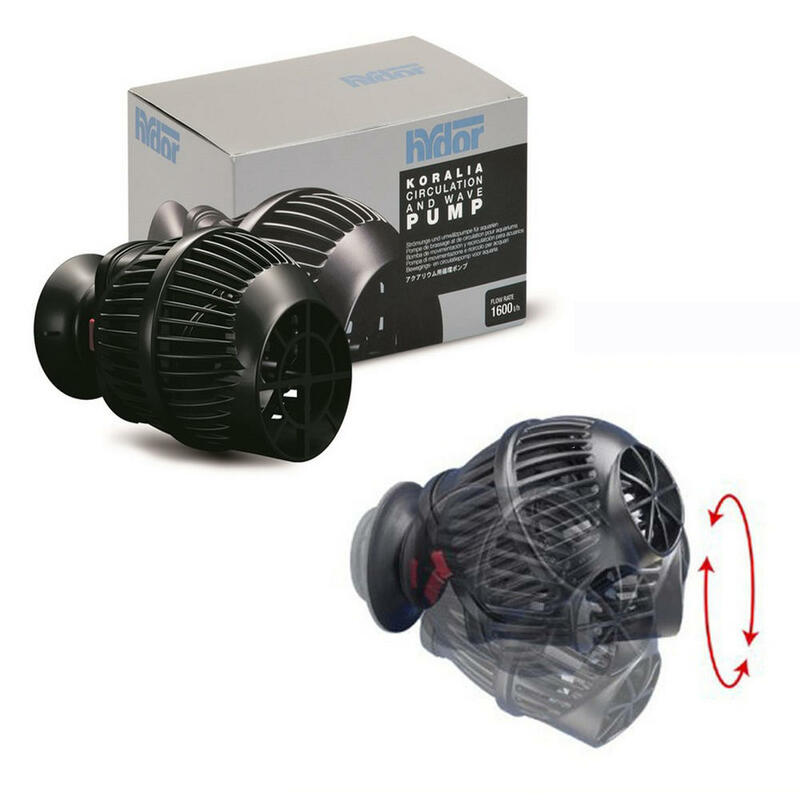 With this increased dispersal of the aquarium water, healthy nutrients, water treatments and heating can spread through the length of the tank and reach all areas. 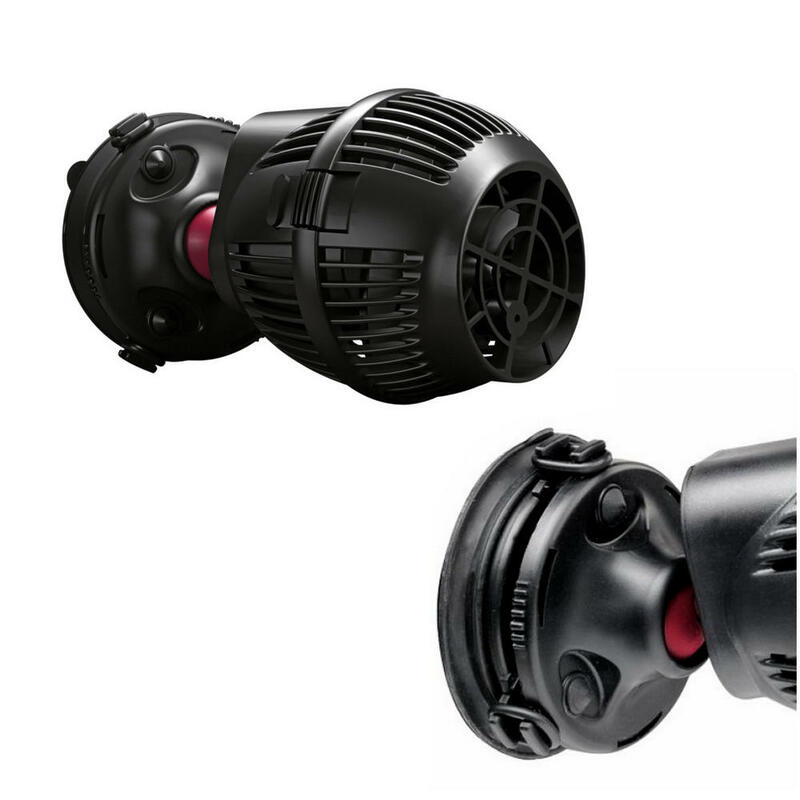 Wavemakers can also help to eliminate filtration dead spots in the tank, circulating the water to ensure all waste is moved towards the filter. 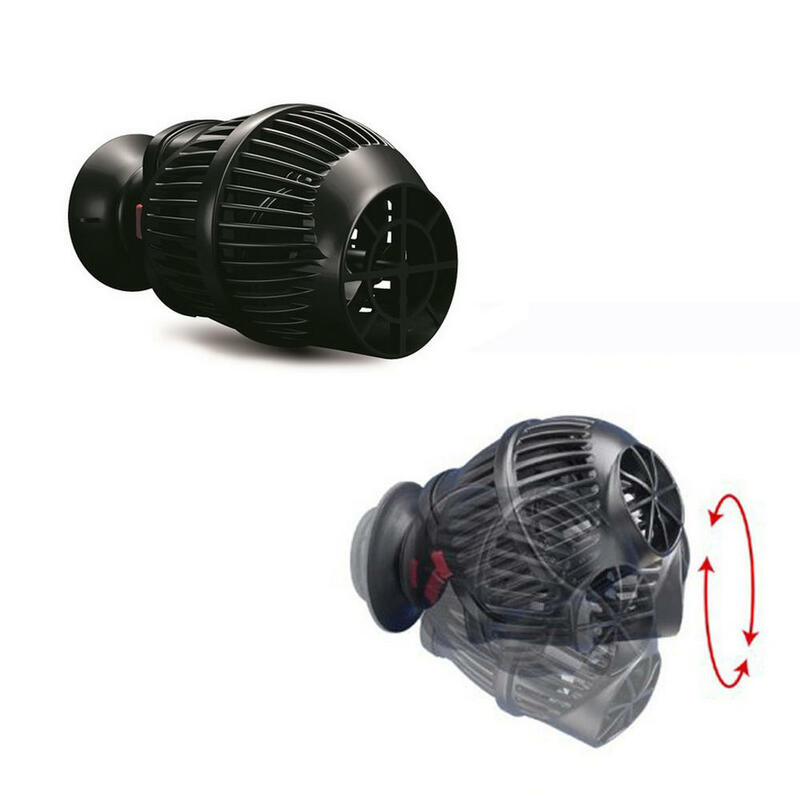 The Nano and Evo Wavemakers can be positioned anywhere in the tank and a magnetic suction cup is provided to enable free positioning of the pump. 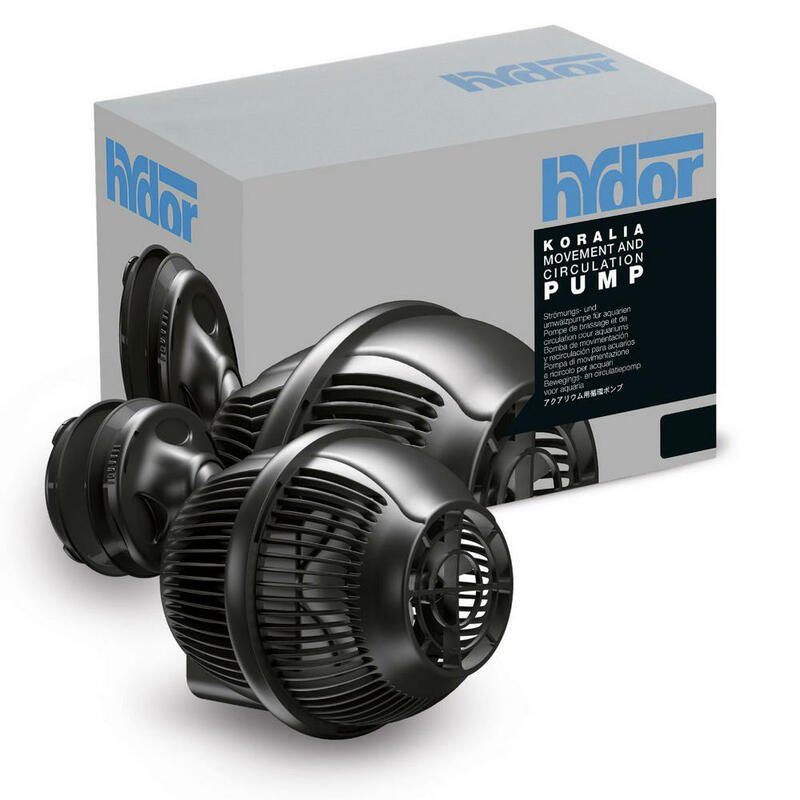 Each pump is connected to the cup by way of a sphere joint so you can direct your flow to the location you desire.